Steve Bannon is leaving the White House and his role as President Donald Trump’s chief strategist. Trump’s Chief of Staff John Kelly and Bannon both agreed that Friday would be Bannon’s final day in the role, according to White House Press Secretary Sarah Huckabee Sanders. “We are grateful for his service and wish him the best,” Sanders said in a statement. Bannon’s ouster comes after weeks of controversy and staff changes at the White House. At the end of July, Reince Priebus was fired from his role as White House chief of staff and replaced by John Kelly. Kelly was reportedly reviewing Bannon’s position, according to Axios. Earlier this week, Bannon said his rivals in the government were “wetting themselves” in an interview with The American Prospect. He also apparently contradicted the president in the interview, saying “there’s no military solution” to North Korea. Bannon, former head of right wing Breitbart News, has been a controversial figure in Trump’s inner circle from the start. 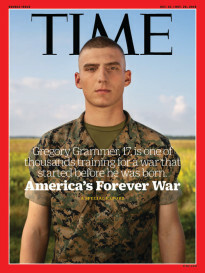 He appeared on TIME’s cover in February. 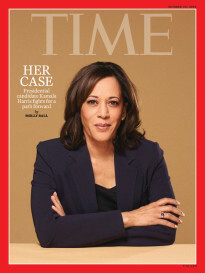 You can read the cover story here.